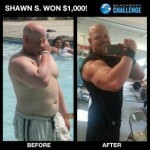 I here the question, “What is the Beachbody Challenge?” quite a bit. So I wanted to take some time to go over the meat and potatoes, so to speak, about the Beachbody Challenge so that you can determine if its right for you and your goals! 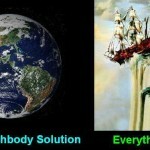 Q: So how does the Beachbody Challenge work? A: The Beachbody Challenge is completely free to join…so really you have nothing to lose (except body fat) and everything to gain! You get rewarded for your results! Beachbody actually gives away over $1,000,000 in cash prizes which is available to you when you sign up for the Beachbody Challenge and enter your results! When you sign up to be a part of the Beachbody Challenge you have three options to choose from. You already have your fitness program and supplements, you just need to sign up for free and you’re set! 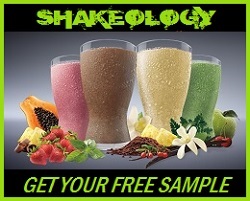 You have your fitness program, but are interested in trying Shakeology –>More info HERE. You want to try a Beachbody fitness program AND Shakeology at a discount with a Beachbody Challenge Pack! click here to check out Challenge Pack options! So as you can see, with these Challenge Packs, there are some big savings if you are looking to get a new workout program, try Shakeology, or become a coach. And if you already have your workout program, you can still enter the Beachbody Challenge without buying anything. 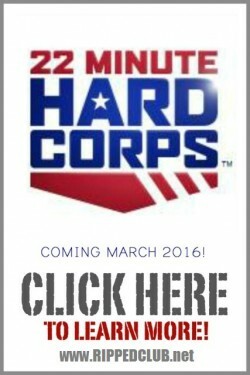 You don’t have to buy a Challenge Pack to enter the Beachbody Challenge. It’s just an added incentive if you are looking for a bundled package discount. What is the Beachbody Challenge – The Rewards! Once you are enrolled in the Beachbody Challenge, you are now eligible for the cash rewards!!! I actually was the “Shakeology Transformation of the Month” in February of 2012 and WON $1000! So for those interested in taking the Beachbody Challenge (which should be all of us because who wouldn’t want to be in the running for free prizes?? ), click here to TAKE THE BEACHBODY CHALLENGE. When you DO sign up for the challenge, you will get me (Coach Todd) as your free team beachbody coach to make sure you have everything you need, including step by step guidance on how to get the best results possible! You also get exclusive access to one of our monthly RIPPEDCLUB Challenge Groups! Click Here To Learn About Getting Plugged In! Lets BRING IT & DIG DEEP Together! PS – Make sure to LIKE, COMMENT and SHARE this post. What challenges are you struggling with in your health/fitness journey? How can I best help you produce the results you are looking for? 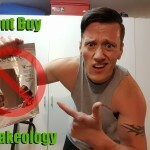 Was this post on What is the Beachbody Challenge helpful?